Now a days your Presence online on Social Networking sites Like Facebook, Google + and Twitter where you share all your personal data like your phone No. Home Address etc. Hence This Information should be kept Hidden from unauthorized Users, In some cases you may use your Online banking Information which should be kept private. Most of the banks are trying to improve their security system using Mobile Notification, Virtual Keyboard etc. You should make sure your online accounts are safe. 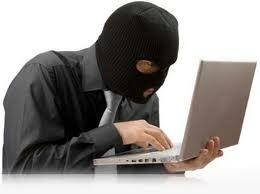 Using strong passwords is the best way to secure your Account from someone who wants to embarrass you. Creating Strong Password is very easily Just by combining few letter, number, symbols etc. Check your password – is it strong? Each an every small piece of software launch it’s own Process, So that you can easily End any Task So that process would be stopped . Hence you can check if any malicious software is running. To open Task Manager Just press ALT+Ctrl+Delete and the same time, But it’s always better to use third Party application such as Sysinternal’s Process Explorer and Auslogics Task Manager. Installing a good antivirus is an necessary Need for protecting your computer. There are many other Needs too such as Anti spyware, Firewall etc but antivirus is the basic need for protecting your system. spyware are basically infect your browser and shows different Pop-up such as bank details which will be asking you credit card Number etc. Firewall is basically an Intermediate between Incoming Data and Outgoing Data. So data should be protected from unwanted users Hence there are two types of firewall Hardware and software. Hardware firewall such as routers which will check Incoming and outgoing data. software firewall will Monitor all Incoming and outgoing data.Update your security software daily and scan your computer weekly to make sure there are no infections. Using WiFi in Public such as in cafe which is not being Password protected. So anyone can Use those Network for free there are many software which can detect what other Device is being using in Public Network. Hence Third Party can easily Get all Information along with Password which you have been used during Log-in. So you can browse any Information don’t Login to your Personal Account such as facebook, Gmail and any other personal account. Most of the Bank Sites such as Internet Banking provide feature Like auto Log out which will automatically Logs Out from your Account but it’s always safe to be manually Log out from Bank Account. In Social Networking Sites Such as Facebook, Google+, twitter etc theirs No feature like auto Log-out so you have to manually Log-out from the account. In facebook theirs feature called Active session where you will be able to see where you have used your fb account and you can easily end task. Always Use 2 Step security feature if you are using Gmail, it’s best way to keep your Google Account Secured. In 2 Step security your Mobile phone comes in picture so have to use your Mobile phone linked to your google account where google will be sending you SMS with security code where you have to use it before Log in. To be Safe on Internet Always Use Private Internet Connection which will protect your browsing History and Password on your Local Computer. 2 Check your password – is it strong?